Right kind of Investment â€“ Stock or Real Estate? Home · Property Management · Financing : Better Investment: Stocks or Real Estate? Better Investment: Stocks or Real Estate? It’s been dubbed the worst week for stocks in at least 75 years. If you were watching last week’s tail-wagging, as the DOW dropped 700 points in ten minutes, dipped below 8,000, then rallied back and forth to soar to record gains Monday, you probably have whiplash. Yet, this latest stock market shudder comes on the heels of a real estate mortgage debacle of epic proportion. Individual investors need to make a choice in these volatile times. Do you take a chance on the stock market? Is real estate investment a better bet? One of our members, Charles H., wrote to us to offer his opinion. Charles and his wife live in San Diego, an area hit by a tsunami of foreclosures. They live on a fixed income, a combination of rental property, bonds and social security. So how does an investor choose between two seemingly losing propositions? 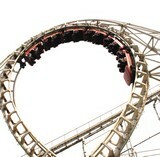 For those who don’t like riding roller coasters, the real estate market may seem more grounded. We want to know what you think. Please comment below to share your opinion with other investors like you.